The ingredients are on the table for Gumbis which is a “mixture” having a long history in Swiss and South German cooking. 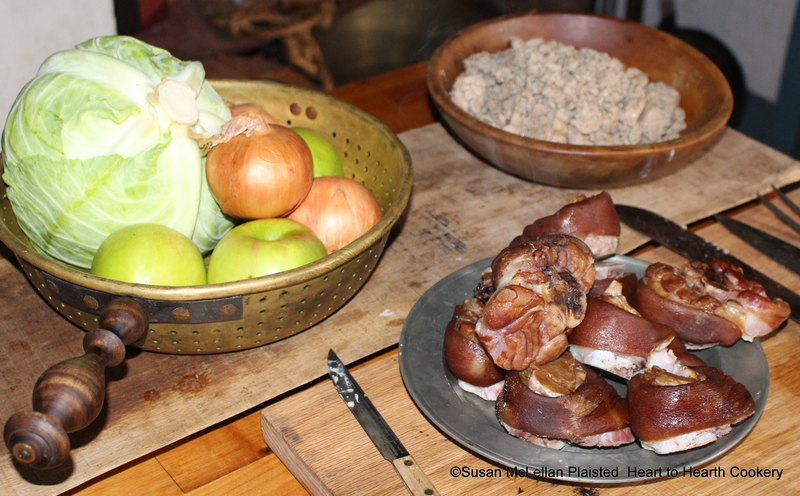 The stew is made by laying cabbage, apple, onion and a meat (typically ham, sausage or bacon. In this Gumbis both ham hocks and sausage were used.